We find, educate and inform your customers daily! Founded in 2000, we are a leading business-to-business (B2B) media communications company specializing in digital media, associations and events in the mobile, self-service, digital signage, retail, food service and financial services industries. As an Internet-news pioneer for almost 20 years, Networld knows online journalism. We also know how to get results for our advertising clients, delivering marketplace performance in the form of leads, webinars, custom white papers and company showcases. Biblical Leadership is an online resource with free tips, ideas and encouragement to help leaders follow God’s ancient wisdom. Blockchain Tech News covers industry news and trends and serves as a forum for experts in the field. Digital Signage Today is the world’s premier news and information site dedicated exclusively to the digital signage marketplace. Fast Casual is the global online leader for news, analysis, blogs and research in the worldwide fast casual restaurant industry. Food Truck Operator covers the business management needs of the food truck industry. Kiosk Marketplace is the world’s #1 news site dedicated to the self-service and kiosk industries, with additional focus on mobile payments and digital signage. Mobile Payments Today is a premier news and information site dedicated exclusively to the fast-growing mobile payments market. Pizza Marketplace is a longtime leader providing news and information dedicated exclusively to the pizza market. QSRweb delivers fast-breaking news, features and analysis on the quick-service restaurant industry. The goal of Retail Customer Experience is to support retailers with news and best-practice insight that increase sales and loyalty through an enhanced customer experience. World of Money informs professionals in the financial sphere and end-user markets about trends, technologies, and ideas shaping the future of money and payments. Turning a spark into a flame. Traditional agencies don’t have time for sparks. They get paid to make big booms. We can take your sparks at any size and turn them into flames that will burn for a long time at a price that fits your budget. 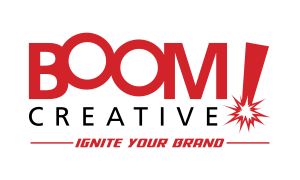 It only takes a spark to make your business BOOM!